Iran plans to build a pipeline to carry Iranian gas to European countries that want to import its gas, Turkish Energy Minister Taner Yıldız said during a meeting yesterday. 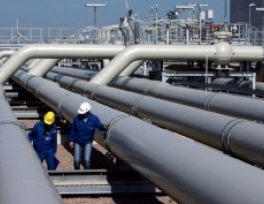 “We know Iran plans to build a big pipeline to carry gas to Europe and five European countries have already planned to buy Iranian gas,” Yıldız said, without giving any details about the route of the planned pipeline. “As long as Iran develops more ties with the world, its relations with Turkey will also improve,” he added. Turkey neighbors a region that is responsible for some 65 percent of energy production and consumption, Yıldız stressed. Iran made a historic deal with the U.S. and five other world powers on Nov. 24, accepting strict constraints on its nuclear program for the first time in a decade in exchange for partial relief from sanctions. In the same meeting, Yıldız also said some progress could be made in the complex energy issues with Iraq. 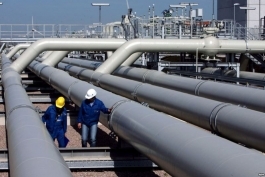 Turkey has expressed its intention to move the process forward through a three-way mechanism including Ankara, Arbil and Baghdad, to be able to import energy sources from northern Iraq’s Kurdistan Regional Government (KRG) via a new planned pipeline. “We all made a pre-agreement to move along through a tripartite mechanism, then [Iraq’s deputy PM for energy] Hussain al-Shahristani and KRG Prime Minister Nechirvan Barzani said they could proceed without such a mechanism. The ball is now in the court of northern Iraq and the Iraqi central government,” Yıldız said.